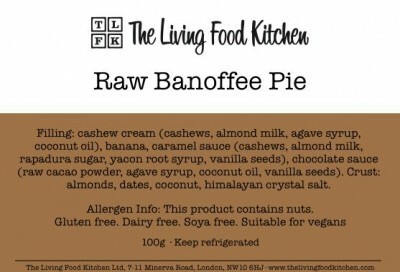 Mmmmmm still in heaven since tasting The Living Food Kitchen new Raw Banoffee Pie. Whilst on a fantatic weekend break to Hereford, fellow Fussy Foodie Claire all the way from London treated us to the delights of this raw dessert. This Raw Banoffee Pie is vegan raw banana heaven. It’s a big treat for me as I don’t have sugar in my diet and this has a bnit of “Rapadura Sugar”… Rapadura is an unrefined sugar prized for its unique caramel flavor and fine grain texture. This deliciously pure sugar retains a nutritional value because – unlike other sugars – it is not separated from the molasses stream during squeeze-dried processing. 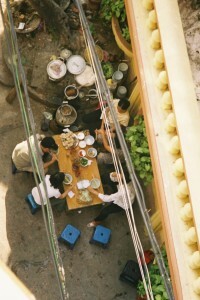 The Living Food Kitchen has many other raw dessert options (sugar free). You can sample the Raw Banoffee Pie and other flavours at Planet Organic.